Pax Christi USA, a national Catholic organization that promotes peacemaking and the spirituality of nonviolence, joins the United States Conference of Catholic Bishops and our sisters and brothers of all denominations and traditions, as well as local and national organizations, in calling on Congress to stop the delays immediately and pass humane and just comprehensive immigration reform legislation. Americans are deeply troubled and divided by the challenges facing our nation. Many experience a sense of hopelessness and are pained by the high rate of unemployment, inadequate health care coverage, and inability to take care of one’s family. 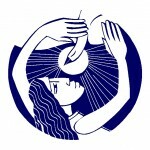 PCUSA is in solidarity with all our suffering sisters and brothers at this time of crisis. For many generations U.S. economic and foreign policies, and most recently international trade agreements, promote and favor the globalization of culture and the economy. These policies have had devastating consequences among families in many communities far from our sight. As Americans we enjoy the benefits of globalization, but are alarmed and frightened when the affected families from other parts of the world risk all to come to the land of plenty. The paradox is that immigrants, who now number over 11 million people without required documents, are the victims of our prosperity. Yet they are blamed for the nations’ economic woes and are demonized as a threat to American security. The “war on terror” that brought fear to all Americans during the Bush era, has now become the “war at home.” “The war at home” gives local enforcement authorities the power to act as an arm of Federal Agents in arresting immigrants, even for minor offenses. The divisions within our nation are especially felt by immigrant individuals and families. They live in constant fear of being detained, separated from their loved ones, and deported if arrested. They see no future or opportunities for their families in their home country. Immigrant families come with their young children to find that hope. These children know only one home and identify with one nation, the United States. PCUSA believes all immigrants and their families have earned the right to U.S. citizenship. Remember our ancestors and their plight as the unwelcome strangers of their generation, for they too were mistreated, abused and demonized for their skin color and for speaking a foreign language. They too were seen as the cause of problems by local and parish communities and were political fodder for those who would take advantage of their situation. Reject the demonization and scapegoating of immigrants by media and political figures who exploit their situation and sow fear as a political strategy. Embrace and use Catholic social teaching as a guide and a reminder that we are made in the image of God and are called to welcome the stranger among us, to value human life for it is sacred, and to honor the dignity of the human person for it is the foundation of a moral vision for society; appreciate that how we organize our society—in economics and politics, in law and policy—directly affects human dignity and the capacity of individuals to grow in community. Commit our communities of faith to provide formation on Catholic social teaching; to challenge parishioners to build community, to not judge others; to interface with the stranger among us in our local community and parish; and to create and promote parish programs aimed at supporting, protecting and empowering our immigrant sisters and brothers. Take advantage of excellent resources that teach and provide formation on the plight of immigrants, such as the USCCB Justice for Immigrant and many secular organizations who are committed to immigration reform. Provide space and opportunities for faith communities to meet, hear testimonies from immigrants, and to share and interface with one another to celebrate God’s gift and presence at this time in our history. Communicate, comprehend and collaborate with the immigrant community to better comprehend the nature and challenges of the poor and the communal identity all share as the one body of Christ; and promote unity and solidarity within our parishes. Pass humane Immigration Reform legislation and stop partisanship and obstructionism. Give legal status to the children of immigrant families so that they may continue their formal education. Reduce the pending backlog and make more visas available for family reunification purposes. enforces the rights of workers, ensures their wages and benefits, and allows mobility between the U.S. and their homeland, as well as within the U.S. Consider how our foreign policies have contributed to the impoverishment or instability of our hemispheric neighbors and created the migration we witness today. Pax Christi USA takes this message to heart. In its commitment to peacemaking and in promoting a spirituality of nonviolence, PCUSA strives to be a witness to and a voice of peace with justice. Mahatma Gandhi taught us that poverty is the worse type of violence. Immigrants who are a vulnerable population who live in fear, and without due process and legal rights, are among the poorest in our society. To deny them rights and to demonize them as enemies of the state cannot be reconciled with the Good News. We are called to build community, not to judge behavior. We are called to be sisters and brothers all.